The food services industry is roughly $60 billion today and is expected to grow to $90 billion over the next 4-5 years. 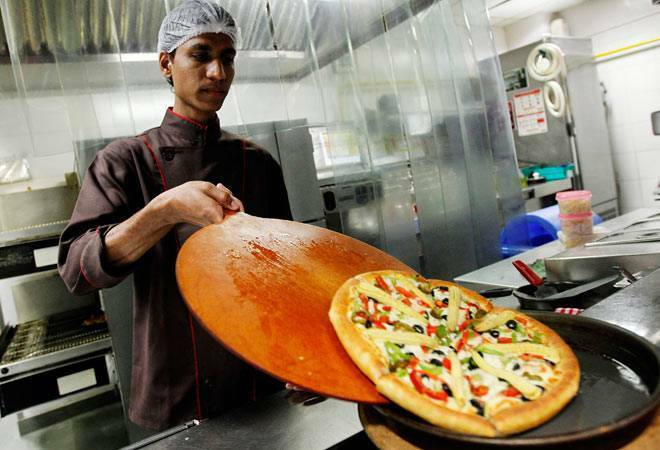 The food services business is growing in double digits in India and could generate as many as a million jobs a year. But for that to happen, the ease of doing business needs to improve many times. At industry body FICCI's food service retail conference, Foodzania, entrepreneurs were both optimistic and guarded. Optimistic, because of the growing opportunities and guarded because of the nature of regulations. In NCR, an entrepreneur has to deal with different rules every few kilometres: between Gurgaon, Delhi, and Noida. Depending on the state, restaurants, for instance, today need between 17 and 60 approvals before starting out. 1. The food services industry is roughly $60 billion today and is expected to grow to $90 billion over the next 4-5 years. The number includes both organised and the unorganised sector. The growth would be on the back of a strong consumer demand for both ordering-in and eating out. Participants at the seminar pointed out that in some South East Asian countries, condominiums no longer have a kitchen - it is the least preferred part of a house. Every meal is outsourced. While a kitchen-free world is a distance away for India, busy Indians are outsourcing food more frequently, just like they are outsourcing laundry. The dine-out market will gain because Indians, at least in the cities, want an experience. Cities looking to attract start-ups need a vibrant dining and pub culture as well. The industry will pick up even when tourism picks up. 2. Technology is changing food services and will continue to do so. Online restaurant aggregators such Swiggy and Zomato, of course, but also companies that run cloud kitchens, increase capacity utilisation of restaurants, and provide point of sale software among others. According to one participant at the seminar, there are about 400 food apps in India today. For a long time, brick and mortar restaurants tried to fight food-tech. The realisation now is they don't need to. Food-tech companies can't always cook the food; they would depend on restaurants to do that bit. In any case, they can't fight food-tech because consumers now demand delivery at home and prefer aggregators to choose from. Blockchain is going to be big in food services, going ahead. The technology is becoming important from many perspectives, including traceability and food safety. Because every transaction in a blockchain is recorded and can't be deleted, the supply-chain of any product, or a dish, can be traced right to its origin at the farm or in the sea. Warranties required by different agencies in the supply-chain will be a thing of the past. Entrepreneurs at the seminar stressed on self-discipline and self-audit when it comes to food safety for the moment - it will become the biggest trigger for buying food, going ahead. This could mean more investments in training of the workforce.